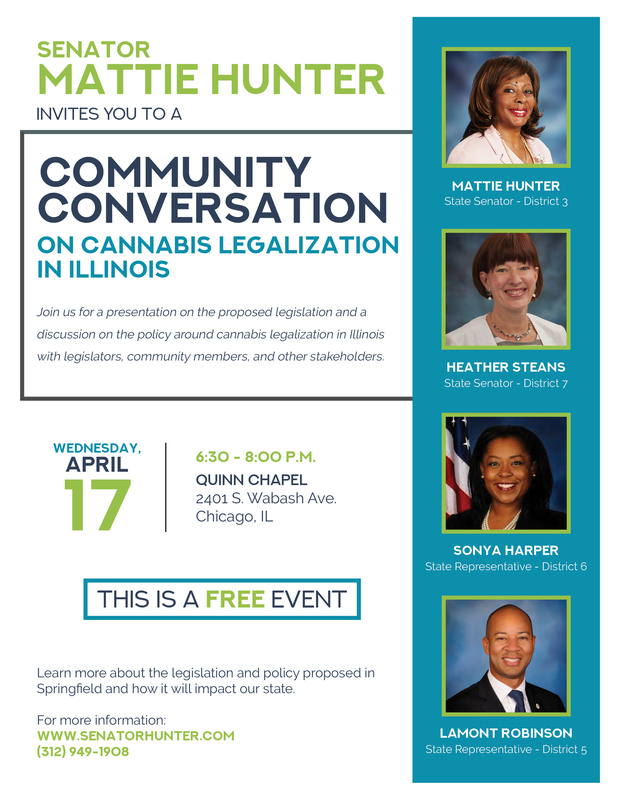 SPRINGFIELD – State Senator Mattie Hunter (D-Chicago, 3rd) voted to raise the legal smoking age from 18 to 21. Hunter is a chief co-sponsor of House Bill 345, which would prohibit the purchase of tobacco products, alternative nicotine products and electronic cigarettes by individuals under the age of 21. 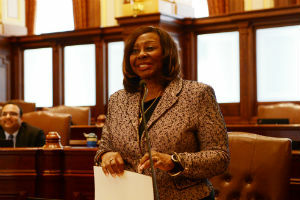 SPRINGFIELD – Continuing her fight to increase wages for home care aides who provide in-home services for nearly 1,000,000 seniors, State Senator Mattie Hunter (D-Chicago, 3rd) joined home care workers, legislators and advocates today to sound the alarm about Illinois senior home care. For eight years, funding for programs under the Illinois Department on Aging’s Community Care Program have gone unchanged, which leaves care providers unable to raise workers’ wages and has left Illinois unprepared to deal with workforce shortages. Currently, the average Illinois home care worker’s hourly wage is only $11.08. Senate Bill 2019 would provide a rate increase to agencies that will ensure every care aid working through the Community Care Programs earns at least $13 per hour by July 1, 2019. “These workers deserve more than a two-dollar increase in their wages. They deserve our thanks, and our deepest appreciation for their hard work and high spirits. We have to take care of the people who take care of one of our most vulnerable communities, and Senate Bill 2019 helps us do just that,” Hunter said. “This budget is a more positive starting point than has been the case in recent years. I am encouraged to see thoughtful initiatives in Governor Pritzker’s proposed budget that will help restore stability in Illinois. “The Governor’s investments in childhood education, workforce development and restorative justice efforts gives me positive assurance that we can all work together towards creating better educational opportunities for our students, more quality jobs in our communities and keeping our young people from entering the criminal justice system.